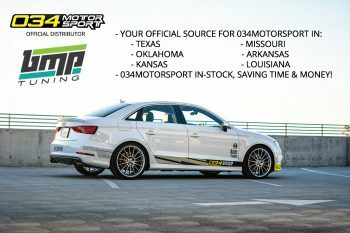 This entry was posted in Website and tagged 034Motorsport, Official Partner, 034Motorsport Distributor, BMP Tuning, Texas, Oklahoma, Kansas, Missouri, Arkansas, Louisiana, Central-Southern United States on August 30, 2017 by Nick Caron. This entry was posted in Website and tagged 034Motorsport, Authorized Dealer, Distributor, Importer, Official Partner, DeCar Auto Sportiv, Canada, North America on August 29, 2017 by Nick Caron. This entry was posted in Performance Upgrades and tagged B8 Audi S4, B8 Audi SQ5, 8V Audi A3, 8V Audi S3, MkVII Volkswagen Golf R, MkVII Volkswagen GTI, 3.0T, 3.0 TFSI, B9 Audi A4, B9 Audi Allroad, B9 Audi, 8V Audi, Res-X, Resonator Delete, Exhaust, B9 Audi A5, EA888 Gen 3, X-Pipe, MkVII Volkswagen on August 16, 2017 by Nick Caron. 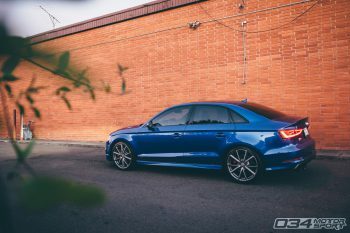 This entry was posted in Featured Users and tagged MQB, 8V Audi S3, Audi S3, carbon fiber, S3, 8V S3, R460, Featured User, 8V Audi, Sepang Blue, Sepang Blue Pearl on August 9, 2017 by Nick Caron.